Compact stapler features a patented PaperPro staple driving mechanism. 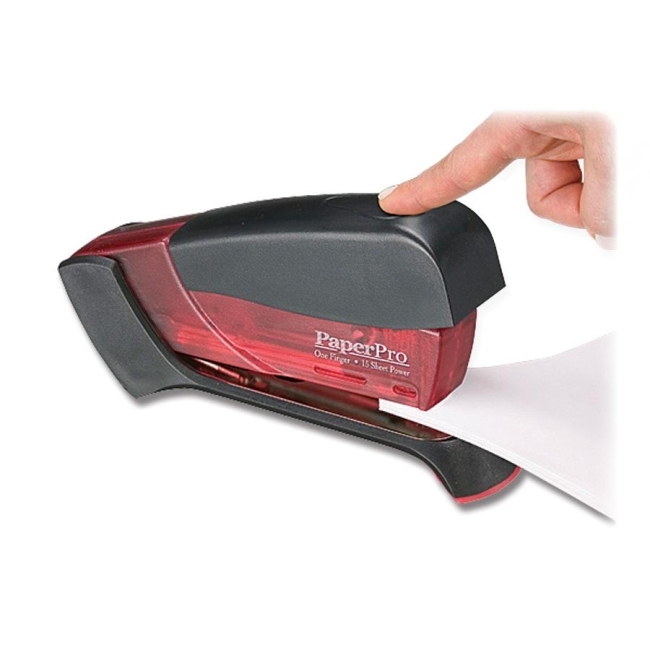 Delivers enough power to staple up to 15 sheets of paper with the pressure of one finger. Uses Swingline SF 4 Staples and standard staples.